London Design Festival 2015 is now in full swing. Two years ago, at around this time and at the same event, designer Sebastian Wrong and his team launched the brand Wrong for Hay at 16 Queen Anne’s Gate. 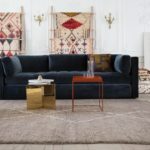 The collection of contemporary furniture, textiles, lighting and accessories by designers such as Stefan Diez, Nathalie du Pasquier and Bertjan Pot gave a delicious twist to the ancient antiques and original features of the Georgian townhouse it was presented in. Since then the brand has continued to build on its directional portfolio of pieces by both emerging and established creators…. In celebration of this year’s LDF – you can find Wrong for Hay at Lightjunction from tomorrow until sunday (details below) – we managed to grab Sebastian to ask him for a speedy tour through his favourite places in the host city. Formerly a founding director of Established & Sons, an RCA lecturer and the brainchild behind his separate venture The Wrong Shop, which sells limited edition highly crafted pieces of work by some of his favourite innovators, Sebastian knows all about quality and design in the capital. Here’s his take on his – and our – home town. 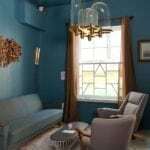 Where to stay for nice interiors and mood? Find Wrong for Hay in the atrium space of The College from 24-27 September at Lightjunction, Designjunction.